-Tourism industry benefits a few people and not the majority of the population. In order to address the above problems, islands were leased to build resorts in number of atolls and MTDC was formed to provide an opportunity for majority of the population, a way to take ownership of resorts and provide a direct income source. The question is, is MTDC the right formula to address the above complaints? People started to have doubts after firing of two experienced staff from Herethere Resort. In such a setup, the atolls can pay the s rent to the state and the profit from the resort or the investments can be used to develop the region. Often, capacities are shown as a reason for not decentralizing economic and other opportunities. The ideal situation will be giving the ownership of investments to the atoll and assist them in areas they lack capacities. Ministries like Atolls Development can play such a role rather than acting as a controller of power (COP). In terms of economic growth we are crawling compared to countries like India. If such a decentralized formula is used, I’m sure that we will start to run and it will be difficult for any country to catch up with us. 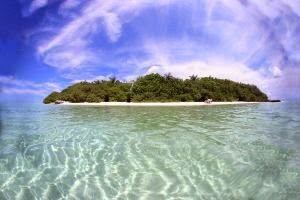 Atoll and island development committees, should start biding for investments. If the rules are restricting it, change the rules. A better approach would be the state assigning some uninhabited islands to communities for industrial purposes and aiding them to make it a success. I like the idea of "Atoll ownership" of business ventures! It could be tried to see what problems it causes! siadh. yeah. start forming public companies by atoll or islad people. that way we may be able to overcome regulation restrictions n start bidding! The issues u ve raised are very interesting! First, did u see any one who loves u country and who really wants to develop our beloved nation. We are hijacked by many corrupt political monsters. Sorry to say that. They don’t have any vision, their only vision is how to elect for next election and how much money is required for that. Can’t they see countries like Malaysia different towns are developed by different public companies? Eg: Puchong is developed by IOI group. They only think for survival for next day not for the future. The main issue I can see is not 2 employee frm Herethere fired from their job. Tell me one single thing the industry (resort owners) do to develop their HR or good for the nation other than the fixed tax they pay.